Chicago has a history of great architecture, iconic foods, and storied sports teams. For more than 100 years, fans have walked through the gates of Wrigley Field to watch nine innings of baseball, with the hope that "this year" would be the year the Cubs would win the World Series. The beloved team had not won the championship since 1908, but that all changed last night when the Chicago Cubs won game 7 of the World Series in extra innings. 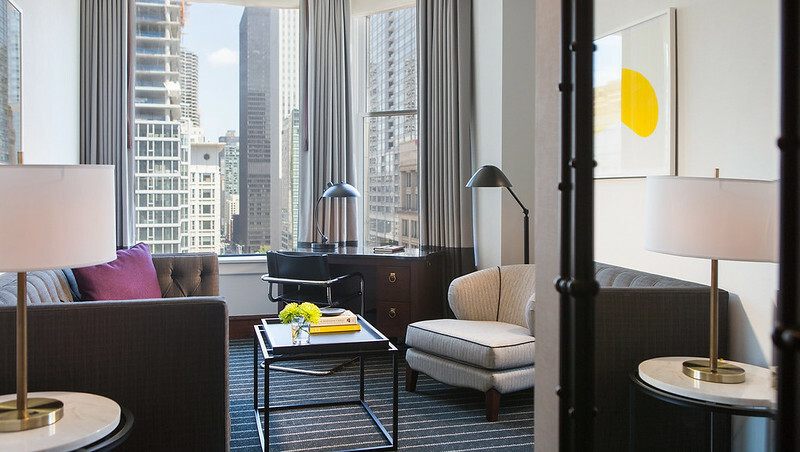 Today, we are celebrating #TravelBackThursday by featuring three of our favorite hotels that have been part of the Chicago skyline since the last time the Cubs won the World Series in 1908. 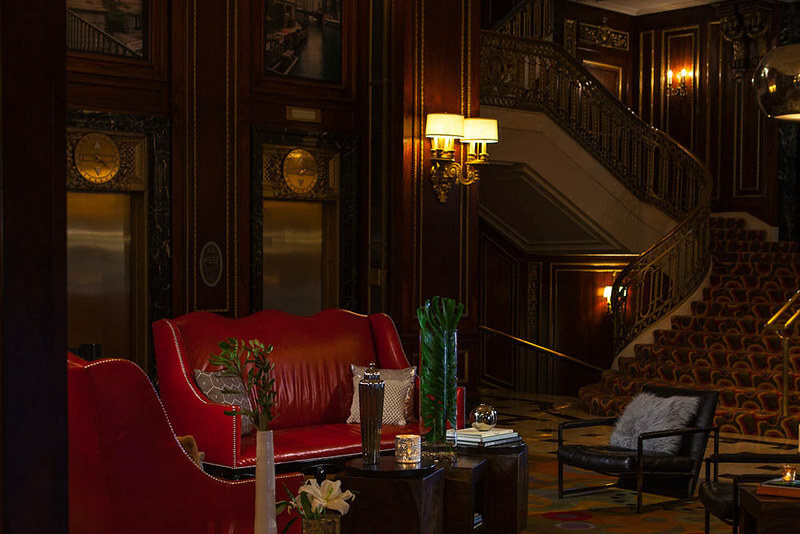 Set within the Reliance Building - a National Historic Landmark, the boutique Kimpton Hotel combines vintage details such as marble staircases, ornate wrought iron, and mosaic tile floors with modern amenities. Designed by architectural firm, Burnham and Root, and completed in 1895 by Charles B. Atwood, it was the first skyscraper to have large plate glass windows make up much of its exterior, and the property was used as an office building for decades. Transformed to a boutique hotel in 1999, it is steps away from Millenium Park, State Street shops, and the Art Institute of Chicago. Originally constructed by Architect Peter J. Weber, of D.H. Burnham and Company in 1897, the building was designed to house jewelers and silver craftsman. Reflecting the transition from the Romanesque Revival era to the Arts and Crafts Movement, the architectural gem was added to the National Register of Historic Places in 1997. Today, the building is a luxury boutique hotel blending historic elements with contemporary design, such as 12-foot ceilings, tufted headboards, and sleek furniture. 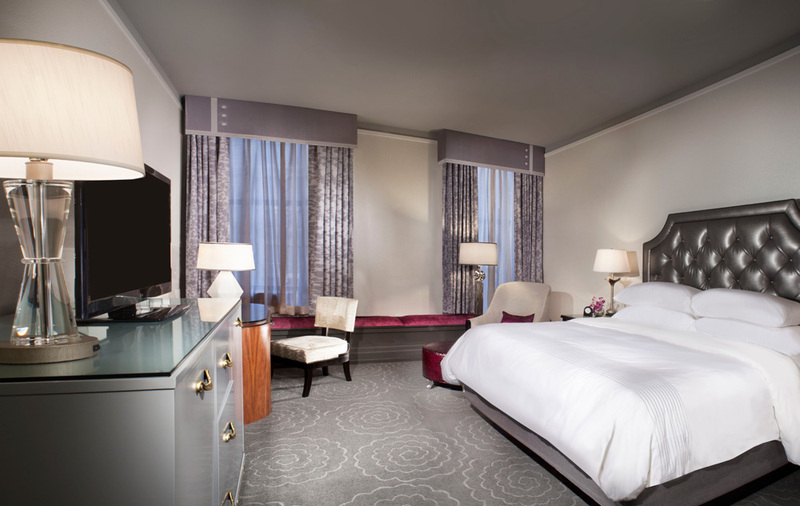 One block from Michigan Avenue, the hotel is close to shopping, restaurants, and museums. As the city was celebrating the Cubs winning of the World Series in 1908, the construction of this landmark hotel had just begun. Overlooking the lake, the 23-story Beaux Arts building has hosted its share of celebrities and notorious events, since opening in 1910. The Suite of Presidents hosted Harry Truman in 1944, where he held a private phone conversation with his wife as he pondered the idea of accepting the VP nomination, and President Kennedy finished a bowl of clam chowder within the suite in 1962 before rushing back to DC for Cuban missile crisis negotiations. Declared a historic landmark in 1998, the luxury hotel underwent an extensive renovation in 2008, and offers an extensive art collection, upscale accommodations, and fine Spanish cuisine at Mercat a la Planxa.